Missions is part of AACF. Our fellowships are missional communities on the college campus, sharing and living out the life-changing message of Jesus Christ. AACF also has summer mission projects. In the summer of 2019, we will be going to Japan and Hawaii! 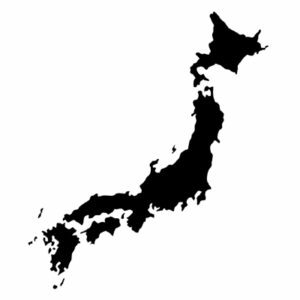 We are praying for 4 teams to go to Japan! Aso Team will need 5 team members to do community outreach and ministry in the local schools. In the schools you’ll teach crafts, games, and lessons. In the community you will teach English and engage the community by hosting events. Date Range: 2 weeks starting mid-July. Buttobi Camp Team will need 4 team members to support a children’s camp. Over 250 kids from a network of churches gather for a week-long camp. The camp is hosted twice during the two weeks you will be there. You will participate in worship, games, kitchen duty, and in whichever way the camp needs you. Date Range: 2 weeks starting late-July into early-August. Nagoya Team will need 4 team members to be the music band for Children’s Gospel Music Camp for Nissin Christ Church. We will need a pianist, bassist, guitarist, and drummer. Being a vocalist will be a plus! Over 100 kids come and learn Gospel music (singing, dancing, and playing instruments) that you will be performing and teaching! We will also be supporting a church plant in Nagoya. Date Range: 2 weeks starting late-July into early-August. Toyohashi Team will need 5 team members to run a community VBS for Brazilian-Japanese kids. These kids are immigrants whose parents are in Japan looking for better opportunities. These kids have lots of energy and really need the love of God to transform their lives. In the evenings, this team will be hosting youth fellowships for the local church. Date Range: 2 weeks starting late-July into early-August. We are praying for 1 team to go to Hawaii! 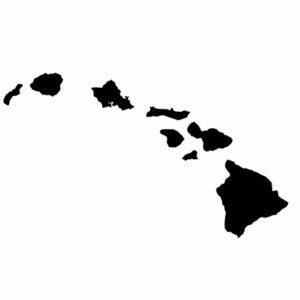 Oahu Team will need 4 team members to do youth ministry with Honolulu Christian Church. We will be doing leadership development and community outreach. These efforts are to raise up the next generation of student leaders and also help with efforts to start an AACF Chapter at UH Mānoa. Date Range: 2 weeks starting early-July. All dates will for missions teams will be finalized in March 2019 when we purchase our plane tickets. Complete an online application that includes two (2) references and pay an application fee of $25 by January 31, 2019. Click here to begin the application. Pay for airfare by March 15, 2019. You will be reimbursed once your fundraising account has enough funds. Airfare can range from $1,200 – $1,600. The total fundraising goal for teams will range from $2,800 – $3,200.